One of the major pain points of doing mobile development has been debugging. With all the great tools available on desktop browsers to do everything from profiling to step debugging, the limited toolset available for debugging mobile HTML5 apps has felt like a major constraint. 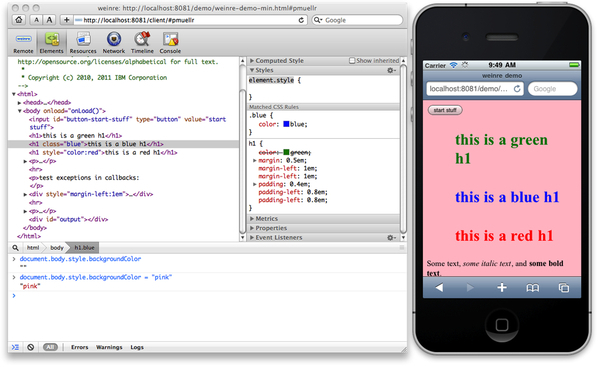 Think of it as Webkit’s web inspector but for your phone.